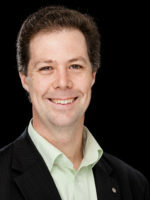 Eric is the Chevron Chair in Gas Processing at UWA and together with Professor Michael Johns leads the Fluid Science and Resources Division in the School of Engineering, Computing and Mathematics. In 2012 Eric was awarded the Malcolm McIntosh Prize for Physical Scientist of the Year for outstanding achievement in science that advances, or has the potential to advance, human welfare or benefits society. Eric’s research expertise is in the area of Gas Processing including thermophysics, gas separations and hydrates.